We humbly present ourselves to all of you today. We do so, to present a project that has become very deer to us and to many of the people we have told about the mission and view of our project "The Tainted Angels." This project is a fusion of love for the skin arts like tattoos, piercing, body alterations, music, film, photography, and any other form of art. This project is to build a place where any one of you can feel at home and be able to express yourself without limitations and be free of prejudice of any kind. To do so, we put ourselves here to ask for your help to build this community. We have many people ready to be part of this amazing movement and community. Only the necessity of equipment and funds to set everything on the right path it is in much need. This is just some of the small obstacles we confront at this moment, but with your help we can move forward with The Tainted Angels. 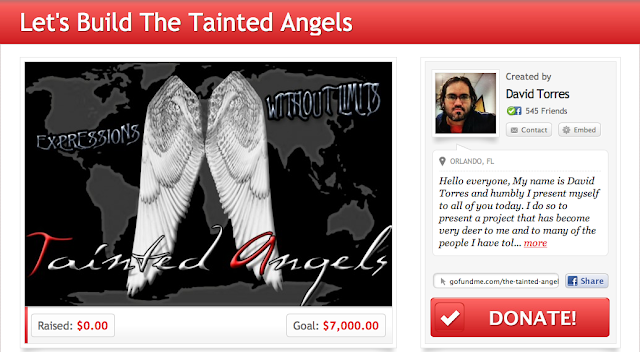 The need for cameras, software, hardware, and fees are the basics for the take off of The Tainted Angels. Your help will bring more than just a stepping stone for expression, but a stepping stone of freedom and union. Help us paint the world with love, art, and understanding. Join us and help us bring a voice to the world of equality, love, understanding and passion for the arts without limits. Here is a bit more about The Tainted Angels view and mission. The Tainted Angels will be a company that will be the stepping-stone for the voice of the skin arts lifestyle and full accessibility services for the disable. It will be the platform for audiences with skin arts (tattoos), body alterations (piercings, body modification, etc. ), and love for all forms of art. The Tainted Angels Company will be based in Orlando Florida and a subdivision in Saint Petersburg, FL. 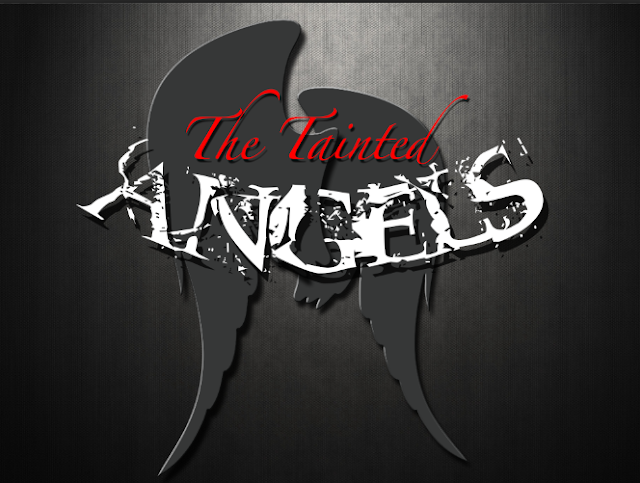 The Tainted Angels Company view its mission as to create a home for self-expressions without limits throughout all the areas of the entertainment industry. It will provide the best and most reliable services to all clientele that loves the skin arts and support the demand of the accessibility services for the clientele with visual and hearing disabilities. The Tainted Angels Company will offer the services of: photography, video and audio productions, audio description, closed caption, and sign language translations. The photography services will be presented as indoors, outdoors, or special themes photo shoot packages giving a variety of selections to the clientele. Accessibility services will be produced accordingly to the customer’s needs from basic to large-scale productions of sign language translations, closed captioning, audio description, BRAILLE translations, and other services. So please help us make this possible and spread the voice!